It’s been a busy week here in Iqaluit. This week I’ve been reintroduced to the joy of taking taxi’s here in Iqaluit. It’s been darn cold…with the wind chill in the -40C range, so a taxi is a good thing. Because Iqaluit is so small…taxi’s charge by the person…it’s $6 for anywhere you want to go in Iqaluit. 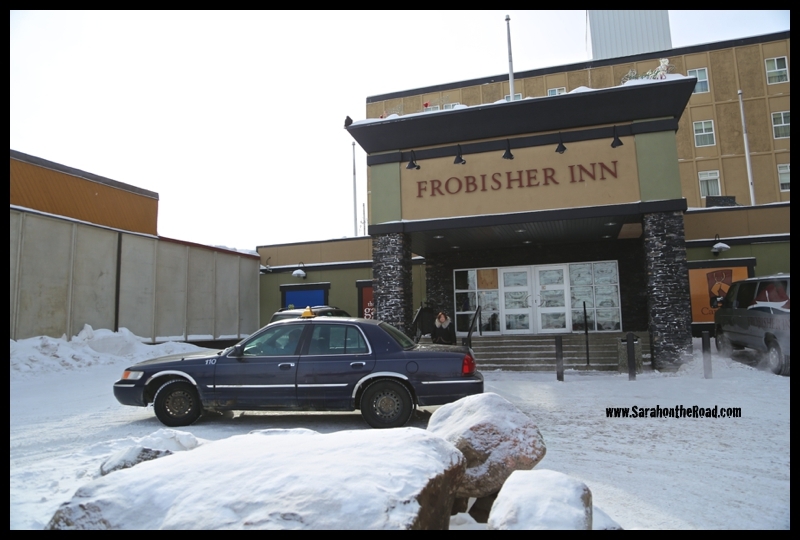 Because of the limited number of taxi’s in town.. and it being so cold…this week when a cab showed up at the Frobisher Inn lots of people jumped in! It’s not unusual for you share a cab with others! Nothing like meeting new friends while you are trying to get to work on time! * The next morning I got into a taxi and headed without too many problems to my destination. The driver actually took us on a few roads I’ve never been on…that actually got out of the crazy 8:30am traffic rush in Iqaluit! * Thursday morning was another interesting morning…the driver drove past the road where my building was…then took me to the Arctic Hotel…then up to Building 519…then back to the Post office before heading back to drop me off! Taking a cab is kind of like an adventure in every ride… you never know how many other people the cabbie will pick up or in what order everyone will be dropped off! * Friday night I was taking a cab back from my friend’s house. I thought it would be straight forward…but nope, ended up behind some person’s house waiting for another passenger for like 15mins. It was only after I asked nicely to continue on the way back to the hotel that the driver carried on without picking up the 2nd passenger. The funniest with this situation was…I gave him $10…and asked for a receipt. He said to me, “…I don’t have a pen.” and handed back the $10 for me. So weird, free ride for me….let me tell you I jumped out fast! Honestly when I’m back in southern Canada I totally miss these $6 anywhere kind of cab rides. It’s been a good week for work and for catching up with friends here in town. I still have some more time here, so looking forward to it! There’s lots of ‘rumours’ going around in town right now about some celebrities in town…. George Clooney, Gwyneth Paltrow and Robert Downey Jr. I’ll have to keep my eyes open, but honestly…haven’t seen any one famous yet! 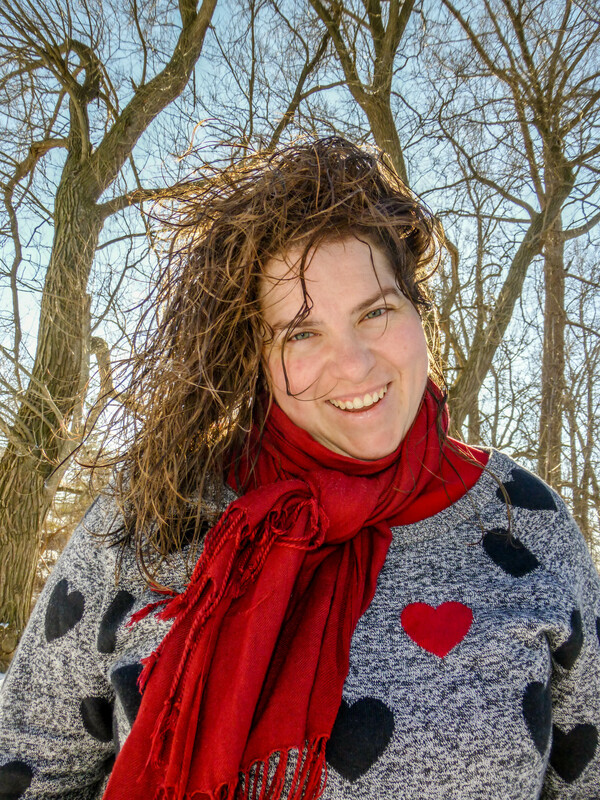 This entry was posted in Life in Nunavut on March 15, 2014 by Sarah on the Road. Seriously? Someone took a cab from the Frob to Arctic College? Must have been a southerner! Actually it was an Inuk…I think it was close to -45C with the windchill…crazy cold, tho not as crazy cold like Rankin has been this winter! As a cab driver I had a passenger who was a little bit drunk, and i pick him at the kamotik building and was going to the post office, that was near ! Or Kamotik to Nova !! I can walk faster than go by cab, and it was not -45C, barely 0C, Yeah !! People sometime dont like to walk in Iqaluit !! Is it true that buildings in Iqaluit are identified just by building number, not by the street they are on (plus a house number relative to that street)? How long does it take to figure out where everything is—e.g. how to get to “Building 519” if you have no idea what street it’s on? So sorry to talk so much, but I just find your blog today, and i am a cab driver since 2007, and i just want to clarify some of your comment ! before delivering a fare to the destination requested. Sometime they can make 2, but i never do that with my client ! When you say “Because Iqaluit is so small !! ” It is not really true, ok compare to New York or some big cities of the south, it is smal, compare to where I was born, we only have 4 streets and it is only 500 people, Iqaluit got around 40km of road, 8 000 people and more than 5 taxi company. It took around a week to get use to the number and where everything is if you had a good training week, i drive everyday 12 hours a day for my training and my boss told me that he never seen someone using so much gas in a week ! It’s a two way street Jack. Customers have to make decisions too. I picked a lady up at the Frob going to the Old Res one day. Another lady wanted to get in and go home to Apex so I suggested she try another cab because the Old Res is completely the other way and a minimum 20 minute drive. The By-Law Chief (“By-Law Bob” or just “Blob” as some people called him) was standing at the hotel entrance that time (he used the Frob reserved parking space beside the front door because…he was a VIP By-Law Chief. I’m going to try posting a photo here of his By-Law truck parked in the handicapped spot at the Northern) and he called me into his office to ticket me for refusing to give a customer a ride. What irks me is seeing the convoy of 5 or 6 cabs heading down the hill to Apex at 5:10 pm every evening each with 1 customer in the back while crowds of shoppers stand outside the Northern in the cold wind watching dispatched cabs roll by on house calls hiding their faces. Thank goodness that new taxi app service with real time GPS tracking and text alerts on arrival is starting up here soon. I can`t believe you got a free ride! I would be fleeing out of the taxi too. Strange things do happen; Hope you get to see some awesome famous people, wouldn`t that be so neat!! Keep up with all your week adventures. Cheers. …it was a strange moment Emely, even for Iqaluit! And btw, Sarah…long time drivers here sometimes only need a name to get you to someone’s place. I was so surprise when i was talking to a lady that i pick up at the airport about this blog to find out it was you that was in my cab. Hope i didnt scared you too much. I was very please to met you in person. Continue your awsome work i really like your blog.